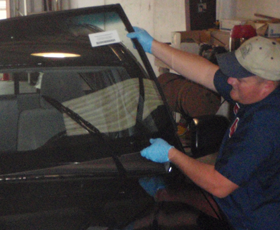 Adhesives play an important role in ensuring the safety and protection offered by your Houston auto glass installation. 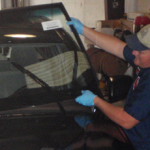 Making sure that the glass repair and replacement shop you choose uses the most advanced and effective adhesives can help you make the most knowledgeable decisions about your Houston auto glass repair. Here are some of the most commonly used adhesives for your windshield or window repair and replacement in our area. Urethane is designed to dry quickly, making it an ideal choice for holding glass windows in place during reseating and replacing. This can allow your Houston glass repair team to complete these procedures more quickly and to the highest standards of quality for your automobile. Leaks and gaps around window glass can cause serious issues for your upholstery and other parts of your vehicle. In most cases, your auto glass repair technician will use polyurethane caulk to reseal the windows and to ensure a firm attachment between auto glass and the structural components of your vehicle. Most windshield sealants consist primarily of silicone that can provide a solid bond between glass and framing structures. Silicone adhesives can be formulated to flow into gaps and to fill them, which makes this adhesive ideal for your Houston windshield replacement needs. Silicone sealants provide a waterproof and durable seal that can hold windshields and back windows in place on a permanent basis. For an even stronger bond, black rubber sealant can be used to install window glass. Black rubber adhesives are not suited to all applications because they do not dry clear. For weatherproofing or sealing in areas where visibility is not an issue, however, black rubber sealants can provide superior strength and durability for your vehicle. Resin adhesives are often used to repair minor cracks and chips in windshields. These adhesives can penetrate even into tiny cracks to provide a transparent and almost undetectable repair for your auto glass. Resin adhesives are the most commonly used solutions for windshield repairs in the Houston area and typically require injectors and specialized equipment to achieve the best possible results. Apple Glass offers comprehensive Houston auto glass repair and replacement services designed to ensure that your vehicle provides the greatest structural support and the clearest visibility. By entrusting your car, truck or SUV to us, you can enjoy the highest quality glass repair for windshields and other glass elements of your vehicle. We can come to your location or perform your repair in one of our two conveniently located glass repair shops. Call Apple Glass today at 281-296-0600 in The Woodlands or 713-680-1400 in Houston. Our team of glass technicians will be happy to work with you. This entry was posted in Windshield Replacement And Repair and tagged Houston Auto Glass, Houston Glass Repair, Houston Windshield Replacement. Bookmark the permalink.